Turn your Android phones and tablets to karaoke songbooks. You can display / search / reserve the songs instantly without the hassles of paper books and request slips. You can also create your own Favorite Lists. Download for free the CAVS RS II Client program from Google App store. The program can also be downloaded below. The minimum hardware requirement for the Android devices is Android OS version 2.2 or higher and 512MB RAM. CAVS RS II Client program enables Android devices to talk to CAVS karaoke players or Windows based PC that are installed with CAVS RS II Server program. Up to 256 devices with CAVS RS II Client program can connect simultaneously to a single CAVS Karaoke player or Windows based PC installed with CAVS RS II Server program. The connection is based on Wi-Fi Intra-net and does not need public Internet that may or may not be available in local bars or restaurants. 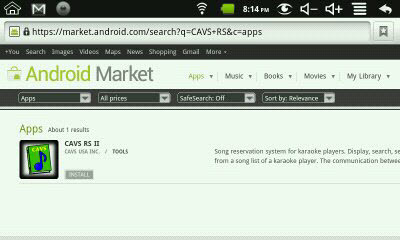 E-Songbook is a CAVS Android Touch Screen tablet that is pre-installed with CAVS RS II Client program. It is enhanced with more powerful options to remote control the karaoke player. For details, please go to E-Songbook. Installed in a CAVS Karaoke player or Windows based PC, CAVS RS II Server program is the counter part of CAVS RS II Client program. For details, please go to CAVS RS II Server. 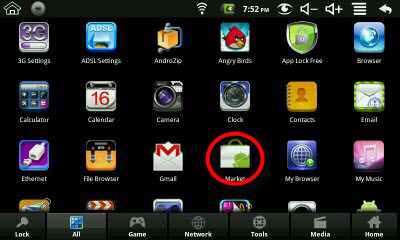 Go to Android Market from Application window of your Android Smart-phone or tablet. Download and install the CAVS RS II Client program into Android phone or tablet. 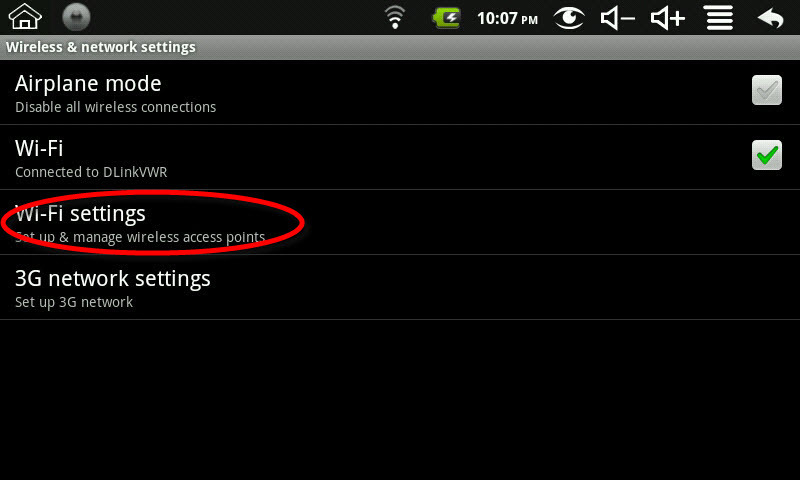 Having installed CAVS RS II program, select the Settings in the Android application window. 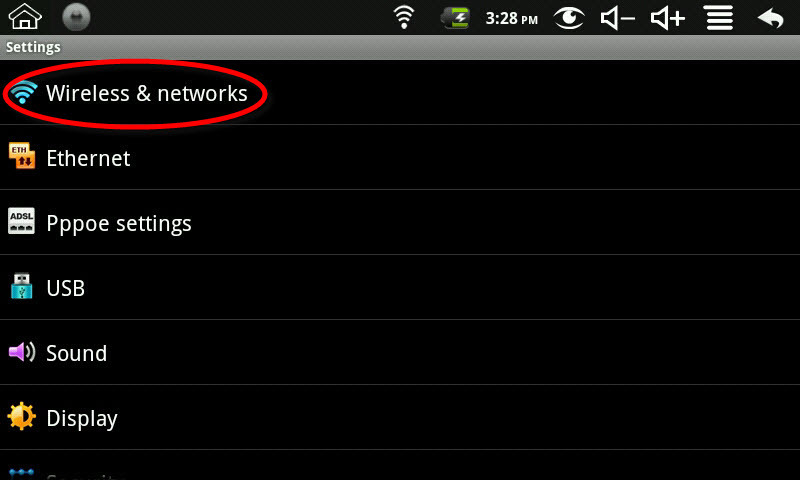 Go to Wireless & networks > Wi-Fi settings. Under the Wi-Fi networks, find and choose the wireless router which is connected to the CAVS Karaoke player / Windows based PC (for example, CAVS Router). Tap on the router and select Connect. If the wireless router is password protected, input the password. Return to the home window. 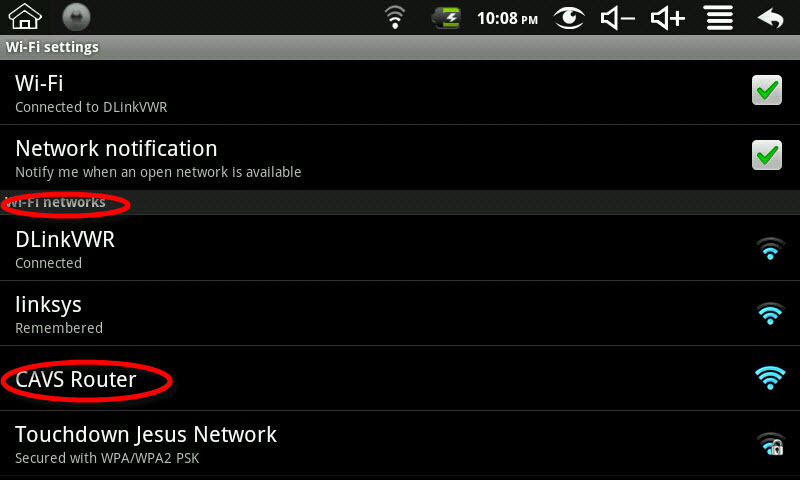 In the program window of Android device, tap on the CAVS RS II program icon and start the program. Blue: Connecting / Downloading a song list. Green: Downloading completed / Ready to go. The menu inside the Settings will appear. Tap on the Set Server IP which will bring up the following pop-up window. Tap on the input field to bring up the screen keyboard and type in the IP address of the CAVS Karaoke player or Windows based PC. See CAVS RS II Server to obtain the IP address. Press OK.
After setting the Server IP, the color of the burst icon on the top left corner will turn blue signaling a successful Intra-net connection. The burst will then turn green after importing the song list indicating that the CAVS RS program is ready for use. When using the Android device as a stand-alone unit, you can load the song list with a micro SD card. Insert the micro SD card with a copy of the song list into the Android device. 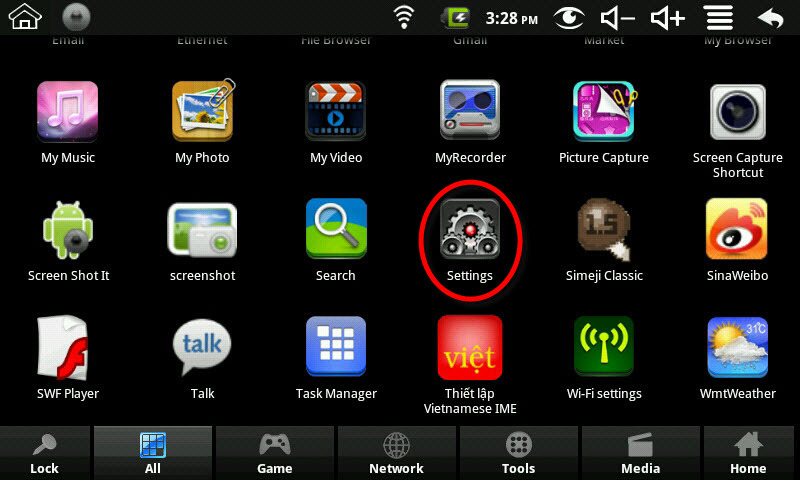 A message "Preparing SD card" will appear on the top left corner. Select Update List from SD. The song list in the micro SD card will begin loading into the Android device. Warning: Many Android devices do not share the same naming convention for its external micro SD card slot. So after tapping on Update List from SD card, if you see an error message "Fail to open song list. Java.io.FileNotFoundException: .../.../.../cavsbook.txt (no such file or directory)", then you should note that CAVS RS II program is searching for the cavsbook.txt file in the directory ".../.../.../." Such directory may or may not exist. If not, please create the directory. Next copy the cavsbook.txt file from the SD card and paste it into the directory ".../.../.../." 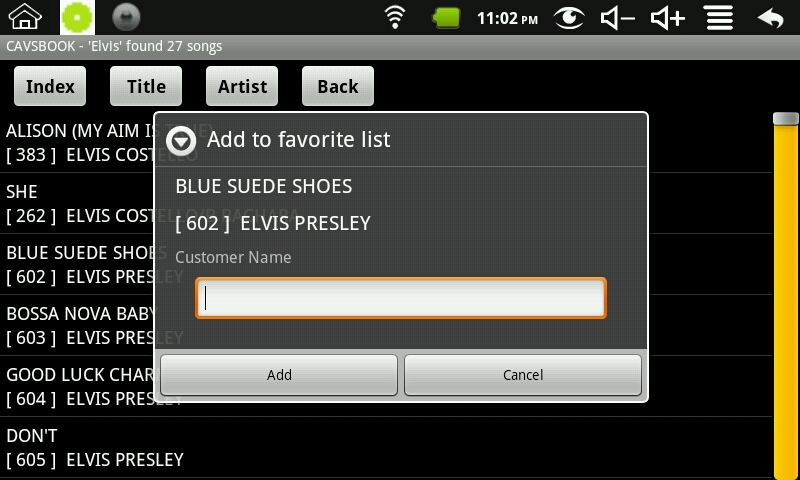 Again tap on Update List from SD selection to load the song list into the Android device. 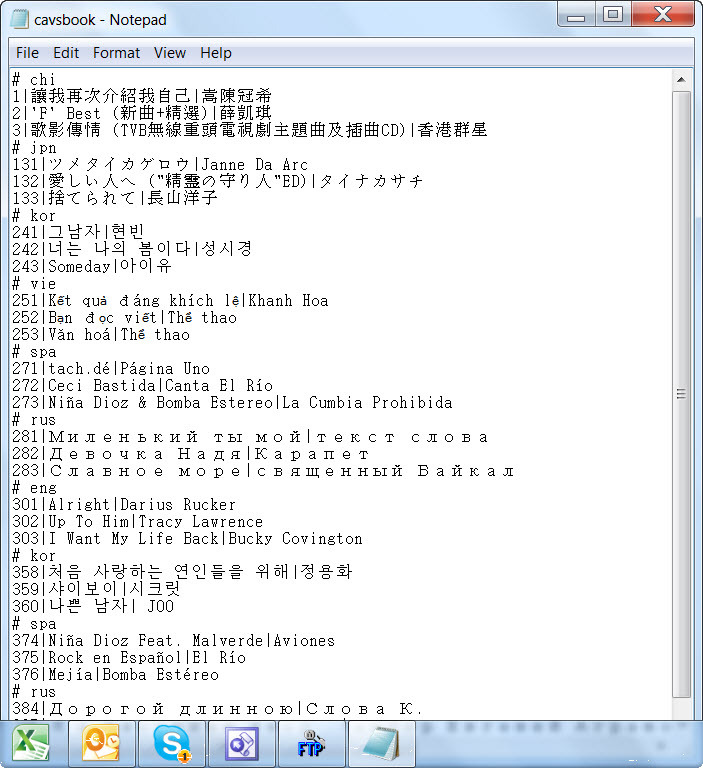 When saving the song list as a text (txt) file, be sure to select UTF-8 as the Encoding format. Tap on the Song Book. 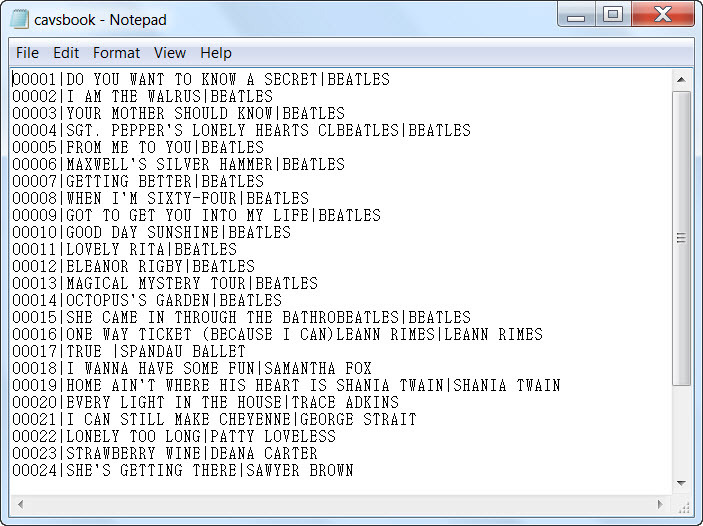 Total song list, sorted in title will appear. You can re-sort the list by tapping on Index, Title, or Artist buttons. You can scroll up and down the song list with a stroke of fingertip or stylus. You can also instantly jump to any page in the song list by tapping on the yellow bar (position indicator). Tap on a song you wish to select. Request reservation window will appear. Press the Reserve button to reserve the song, Add Fav. button to add the song to a Favorite List, or Cancel to return. Before reserving, you have the options to preset the the Customer Name, Pitch (Key) level, and Tempo level. To input the Customer Name, tap on the input field to bring up the screen keyboard. If you press Add Fav. button, the following Add to favorite list window will come up. This is same as if you press and hold on a song from the Song Book. Tap on the input field to bring up the screen keyboard. Type in the name of the Favorite List or create a new Favorite List by inputting a new name. Press the Add button to add or Cancel to return. For further instructions on how to use the Favorite List, go to the Section 6. Favorite List below. Tap on the Search by Title. Input field and the keyboard will appear as below . Type in the word you wish to search (for example, Love). Press Go. Search result with matching songs will appear. You can re-sort this list of matching songs by Index, Title, or Artist by pressing the respective buttons. As before, tap on a song you wish to select and the Request reservation window will appear. Press the Reserve button to reserve the song, Add Fav. to add the song to a Favorite List, or Cancel to return. Before reserving, you can preset the Pitch (Key) level, Tempo level, and the Customer Name. To input the Customer Name, tap on the input field to bring up the screen keyboard. If you press the Add Fav. button, the following Add to favorite list window will come up. This is same as if you press and hold on a song from the search result. Tap on the input field to bring up the screen keyboard. Type in the name of the Favorite List or create a new Favorite List by inputting a new name. Press the Add button to add or Cancel to return. For further instructions on how to use the Favorite List, go to Section 6. Favorite List below. Tap on the Search by Artist. Input field and the keyboard will appear as below . Type in the word you wish to search (for example, Elvis). Press Go. Search result with matching songs will appear. You can sort this song list by Index, Title, or Artist by pressing the respective buttons. Tap on a song you wish to select and the Request reservation window will appear. Press the Reserve button to reserve the song, Add Fav. to add the song to a Favorite List, or Cancel to return. Before reserving, you can preset the Customer Name, Pitch (Key) level, and Tempo level. To input the Customer Name, tap on the input field to bring up the screen keyboard. If you press the Add Fav. button, following Add to favorite list window will come up. This is same as if you press and hold on a song from the search result. Tap on the input field to bring up the screen keyboard. Type in the name of the Favorite List or create a new Favorite List by inputting a new name. Press the Add button to add or Cancel to return. Tap on the Favorite List. Press Load and the Customer window will appear. Tap on the input field to bring up the screen keyboard and type in a name. If the name already exists in the Favorite List, the songs stored under the name will appear. If not, you will be asked to create a new account as below. To add songs to a Favorite List, press AddT button to find songs by title or AddA button to find by artist. Type in a word in the input field and press Search. From the search result, select the songs you wish to add by placing check marks. Note that multiple songs can be selected. Press Add. A confirmation window will appear as below. Press Add to confirm. The Favorite List will now show the added songs. Tap on a song and press Reserve to reserve the song to the queue, Delete to delete the song from the Favorite list, or Cancel to return to the Favorite List. Note that when selecting a song from a Favorite List, the customer name field is pre- filled with the account name of the Favorite List. Songs in the Queue will be displayed along with the customer name. Note that only when the CAVS karaoke player is set with both options of "Auto Start in Continuous mode" and "Continuous mode", the songs in Queue will begin playing automatically. For details on how to set the "Auto Start in Continuous mode" and "Continuous mode", see CAVS RS II Server. CAVS RS II Client program will signal an incoming message with a chime and a message icon on the top row of the screen. Press on the top row and slide down to open the Notification window. It will show the message received from CAVS RS II Server program. Tap on the message and it will be displayed in the CAVS RS II Client program. Tap on the message when finished to return to Song Book menu.